The New Economy is a program associated with the non-profit organization "The Foundation for Global Progress and Economic Freedom". 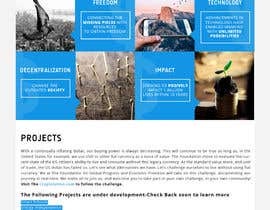 The mission of the Foundation is: "Connecting Technology and Resources to Maximize Global Utility." 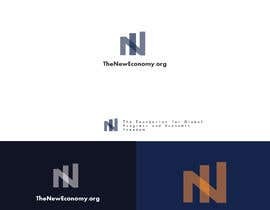 This request is to further develop online presence for TheNewEconomy.org. The current site was quickly set up as an online web presence using WP. We would like to make it more professional in appearance and an improved, more responsive UX in both web and mobile. Below, sections of requirements are outlined. However, these are all under the main goal of "Maximizing the value of web presence for The Foundation". #1 Requirement: Maximize the value of the web-presence! I'll be available to answer questions and help guide if anyone moves in the wrong direction. As for the items below- please take them into consideration, but more importantly, do what you think will make your entry win the contest! Requirements: Simple, elegant, responsive contact form to quickly provide feedback to the site admin email. Optional Requirements: Seeding the forum and/or blog with content. Requirements: Integrate-able with other sites/communities (Services, APIs ?) from "The Foundation Ecosystem". 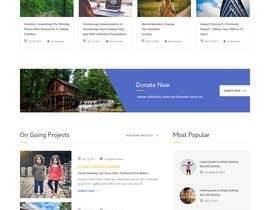 The minimum would be a page with the ability to add links to other sites associated with The Foundation. Provide guidance or a different approach here if a another method for ecosystem creation / integration would be appropriate. Monetization should be a minimal focus of the site, however a key component of ensuring the project stays funded. 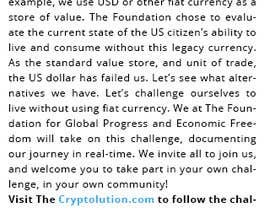 Requirements: the ability for users to donate to The Foundation, and/or directly towards current or future related projects. I see this as a data schema with parent-child hierarchy of related projects of which Admins can add and control. 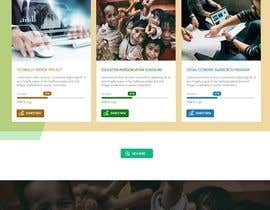 The donations should be able to integrate with sites' community functions, such as a community status, although the donation function should also be able to be done anonymously should the user choose. Requirements: Accept traditional payment methods as well as Bitcoin (and other cryptocurrencies as feasible). Requirements: Responsive FAQ or Q&A. 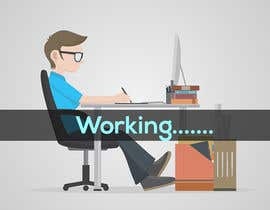 Requirements: Ability for quick video posting by assignable role(s), through youtube or uploaded directly. Requirements: Light learning management functionality - potentially a wiki. Requirements: Page for Video Feed (Youtube feed based on a search parameter), the ability to choose whether to approve or reject each new entry from the feed. Requirements: Maximizing SEO, structured for current and future content. Requirements: Heavy focus on community/audience attraction and retention. We anticipate that some "Creative" additions may be helpful in selection. Feel free to add additional functions or features that you feel may add value to the site if you feel it may add to your entry. We need to retain ownership of all assets, code, and creatives developed and/or used (such as full access to any licensing, plugins, etc.) for the creation, design, etc. related to the project. If there are any restrictions to this, please state so in your entry. Thank you! We look forward to your entry! We intend to leverage the capabilities of a CMS, such as WordPress. 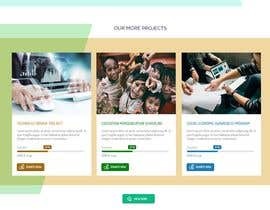 Are you able integrate the design and functionality requested with WordPress (potentially open to another CMS...) for centralized management of content, monitor and manage the donations system & processes for various user-created projects, etc. 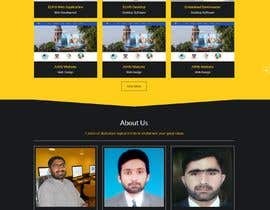 I'm going to develop the site in HTML5 with great desig is that ok??? Additional clarification: If the winner of this contest is the right fit, and produces outstanding work, this will turn into a recurring opportunity. To provide a bit of background on the intent of The Foundation and how the New Economy fits, our marketing lead put together a quick draft of a presentation on how "The New Economy" could be incorporated into a specific real-world challenge. All entrants are welcome to view the Prezi presentation here: https://prezi.com/4hi5eoveblhu/ -- It was one of the easier examples we've chosen to show how technology has already begun to change the social landscape across the globe. 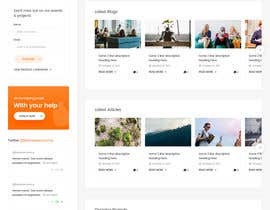 --Sharing to provide deeper background into the organization, and hopefully to help integrate the organization and its ideals into the design. 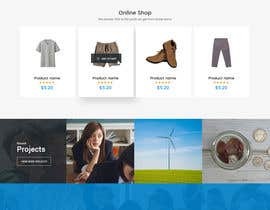 How complex would adding integration of a small, clean, online shop for Donations and Fund Raising items like .. Tshirts, etc. - Even integrating an Open Source store front app may be a quick way? Not a necessity, but all else equal, it would be nice to have this already integrated. Hello there, do you have any specific logo? or do we need to use any related design. Thanks! Hi Shahala. We are working on developing a finalized logo. Feel free to add a logo- custom or generic- but with that said- we do happen to be in the process of logo design. If a good custom logo is used, it would add value to entry. 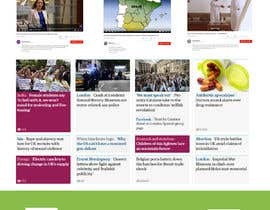 On using any related design: No existing original design, the current design on TheNewEconomy.org is a free WP template. No existing design design, colors, branding to coordinate- yet.